The update will be here shortly. 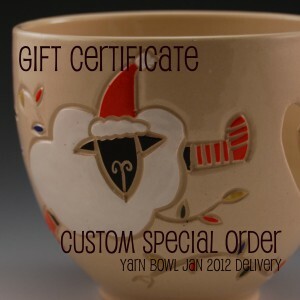 We’re trying something new and this year there will be a limited number of gift pots. You choose the form and the recipient chooses the design. I will work with each recipient to craft their piece. As these will be custom pieces they will be made and arrive in the New Year. They’ll be worth the wait. 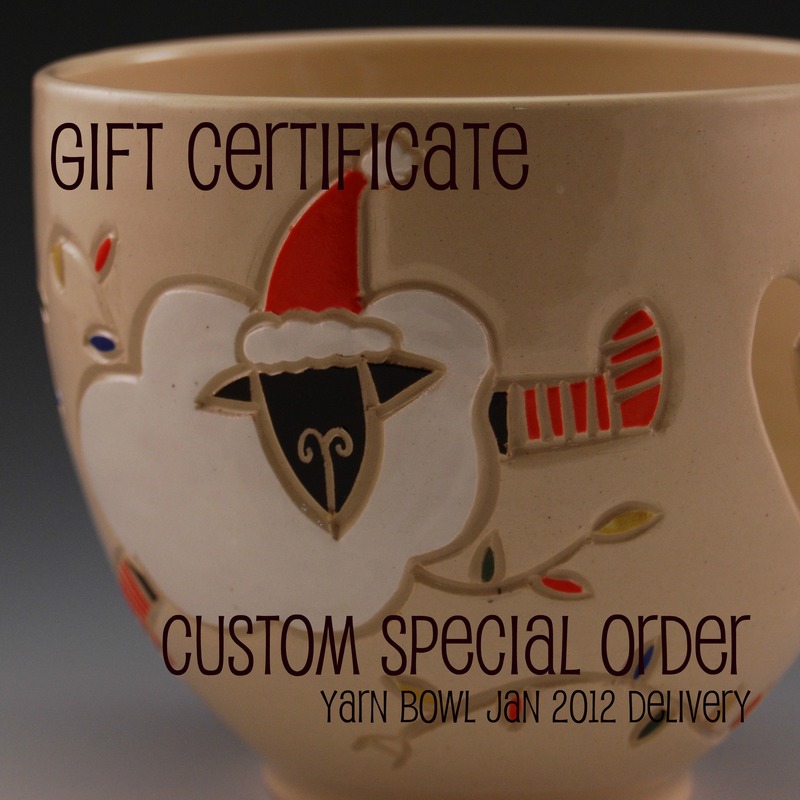 Each gift certificate order will be sent a special card to give. Might want to check out the etsy shop today for those listings . . . This entry was posted in Uncategorized and tagged update on December 16, 2011 by Jennie. Those little sheep make me smile. Thanks! !